Did you know Genesis supports Linux too? Did you know Genesis solutions are compatible with many different operating systems - not just Microsoft Windows? Although many users prefer to install their software in a Windows-based environment, it is not a Genesis requirement, and indeed our applications work equally well in Linux environments. Users who prefer Linux will be pleased to know that they can expect the same reports, ease-of-access, and simple 1-click installation and trouble-free operation regardless of the operating system they choose. Especially for larger organizations with multiple installations, the ability to manage and roll out software updates centrally makes Linux an simple, attractive option. Hosted users can of course access their software easily from any browser equipped computer, tablet, or smart device, so if you are looking for the ultimate flexibility give us a call to get moved over to our hosted versions! GenAlert for RingCentral Now Available! We are very excited to announce the release of GenAlert Real-Time 9-1-1 & Emergency Alerting Solution for RingCentral! GenAlert is an emergency on-site notification solution which detects the moment an emergency call is made (or lockdown/alert code is entered into a telephone) and dispatches alerts to your staff in real-time (including email, SMS, on-screen alerts, speech, strobe / light or siren activation, and more). GenAlert includes location information, floor plans and other visual aids in alerts to assist staff in locating and dealing with the emergency as quickly as possible. GenAlert can be deployed as a hosted / cloud-only solution or with additional on-site survivability, and is fully customizable based on your needs. GenAlert is compatible with most common telephone systems, and complements our other RingCentral-compatible solutions. Contact Genesis to find out more, and check out our listing in the RingCentral App Gallery! Call Accounting: Differentiating proven and current solutions from all the "old technology"
Call Accounting solutions have been available for a long time - well over 30 years now. Over the years these solutions have been marketed under a variety of other names, like call tracking, expense / productivity management, call analytics, etc..., but mostly have provided some level of "Call Accounting" functionality, regardless of the name. Taking a look around the marketplace today, I see a lot of old, outdated technology still being marketed as leading-edge stuff. Some of it just doesn't make sense: how can a product be current when it's "new" features that have been industry-standard for 10+ years? Why do the reports look like they were designed in the 80's? If these are the new features in a solution you are looking at, it is simply "old technology". You won't find the most important differences on the company's website either - like third party software and licensing dependencies which add significant cost to the solution, missing support for current data collection methods, excessive PC/server hardware requirements, etc. Unfortunately, many times you aren't aware of these limitations until you're already committed, and then locked into using outdated methods or purchasing additional licenses. It's not all bad though! Feel free to reach out to us if you have questions about or are just looking for some more clarity on Call Accounting and which solutions best fit your needs. We love Call Accounting! The uses for are seemingly endless; over 30 years in, and we're still discovering new problems we can help customers solve with Call Accounting. It's truly a universal solution, with a compelling use case for nearly any business with telephones. What does your software's annual support actually cover? Most software includes some form of an annual support option to provide you with periodic updates and access to technical support when the need arises. Subscribe to annual support is not much of a decision for many of us - the software was purchased to fill a void (e.g. business analytics, emergency notification, etc. ), and it just needs to work. We subscribe to annual support so help is there when we need it. Do these not seem like opportunities to up-sell you on services you believed were included with your support in the first place? Since you're under annual support, shouldn't you at least have access to the necessary support so you can continue to use your existing software? We think so. It's a simple, yet illusive concept, and is one we strongly believe in. Going Hosted: Are You Missing Something? These are the themes echoed in most cloud-solutions marketing collateral - and for good reason - they are consistently the top 4 reasons why businesses of all sizes choose a hosted solution over an on-premises one. It's a compelling pitch, what business wouldn't want to improve their efficiency and reduce their costs? A law firm customer I worked with had been using monthly telephone reports to substantiate their activities related to each client. Receiving these details broken down by each client vastly simplified their billing process, reduced errors, and improved billing transparency for clients. They had been using these reports for years and had become reliant on them for simplifying their billing process. Their phone system was becoming obsolete and the firm made the choice to replace their old phone system with a new cloud-based solution due to some of the above reasons. Their set up was quick, and after a couple months the entire office was quickly trained on and moved over to using the new system. All was good until the first time client bills were generated after their migration. Their reports now had no unique client numbers on them, essentially giving them no way to associate the time spent on calls with the appropriate client! This was a huge issue for them. Their billing process changed entirely overnight, with staff now were having to keep track of billable time manually. Needless to say, the customer was surprised to lose this long-time functionality, especially given that their new system had promised more features than their previous premises-installed one. The simple functionality they'd been using for 10+ years was now gone, the new system had no way to allocate calls to clients, and the customer was inevitably left scrambling to find a solution to this issue. Genesis Systems makes every effort to ensure our solutions, whether premises-based, virtual-installed or cloud based, feature all of the same functionality to eliminate these types of issues. We consult with your organization prior to implementation to ensure there will be no unpleasant surprises or limitations so you know exactly that you're getting. The latest software release includes a major appearance update. Users of our web versions will notice this upgrade immediately, which provides easier navigation, reporting updates, and significantly enhanced usability on a variety of devices including tablets, smartphones, and other browser-enabled devices. Feel free to contact our support office with any questions or concerns you have and we’ll be more than happy to show you around your new software. If you haven't received your upgrade yet feel contact our sales office to find out when you will be receiving it. Users of Genesis Hosted Solutions are already upgraded this latest version, and have the benefit of always having access to the most current features. With Genesis Hosted Solutions you can expect all the same powerful call analytics, management & exception alerting available in our premises-based solutions, but with greater accessibility and virtually no configuration & ongoing maintenance required on your part. Interested in going hosted? Give sales a call to discuss! Genesis is pleased to announce our next generation of products. Not only have we released a new assortment of solutions, but we've also overhauled and updated our website with much more information on who we are and what we can do for you. This blog will be updated with regularity going forward. These are exciting times at Genesis so we welcome you to subscribe to our list above and receive notifications when we add new content here. As they have been for years, all Genesis Solutions are available in Premises-based and Virtualized configurations. Dedicated hardware is not required. Genesis is also now offering Cloud and Hosted services. Since all of our solutions are completely web based (client-based also included if you prefer it), this was a no-brainer for us. Cloud & Hosted Services are starting from $29/mo. On-Premises & Virtual Solutions as low as $299. Contact our sales department for details at 888-993-2288. 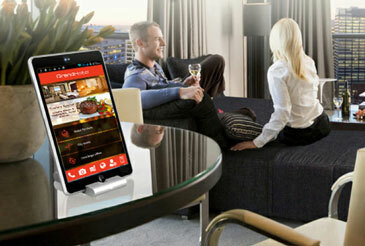 Take your hotel guest's experience to the next level. Genesis the next Generation of telecom solutions! Call Accounting for Avaya IP Office Now Avaya Certified! We are very excited to announce our Call Accounting Solution for Avaya IP Office is now Avaya Compliant! Call Accounting for IP office is the last of our Avaya compatible Call Accounting solutions to complete the testing process. Like the other Genesis Call Accounting solutions, it also includes Call Tracking, Telecom Analytics, Traffic Trends, Cradle to Grave Reporting and much more. Contact our sales department for details at 888-993-2288. Genesis software is extremely flexible and will work with new and legacy telephone systems, as well as many hosted and cloud telephone providers. Genesis also interfaces with any Property Management System, and can run on the same PC. At Genesis, upgrading is a simple process without any hidden costs.